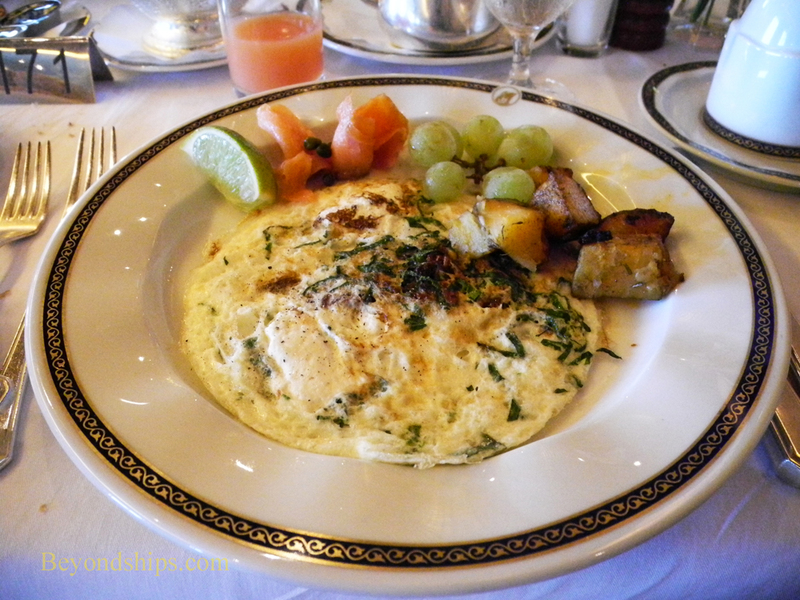 On the following pages, we explore the various dining venues on Eurodam. Along the way, we'll have some comments by Mr. Kuppens and some observations from me. 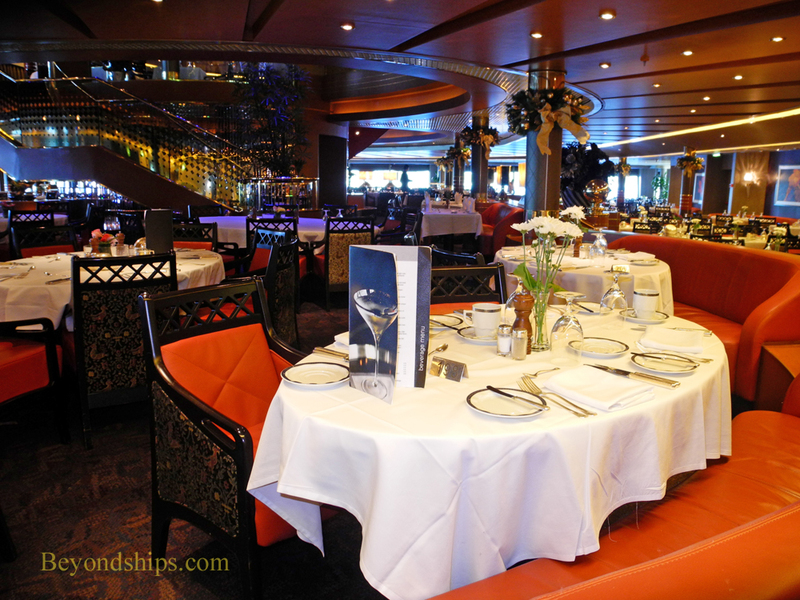 Located at the stern of the ship is Eurodam's main dining room, the Rembrandt Dining Room. It consists of a main floor on Deck Two and a balcony level on Deck Three. The room is decorated in a contemporary style using a palette strong in reds and blacks. The Rembrandt is open for breakfast and lunch (on sea days and occasionally in port) on an open seating basis. 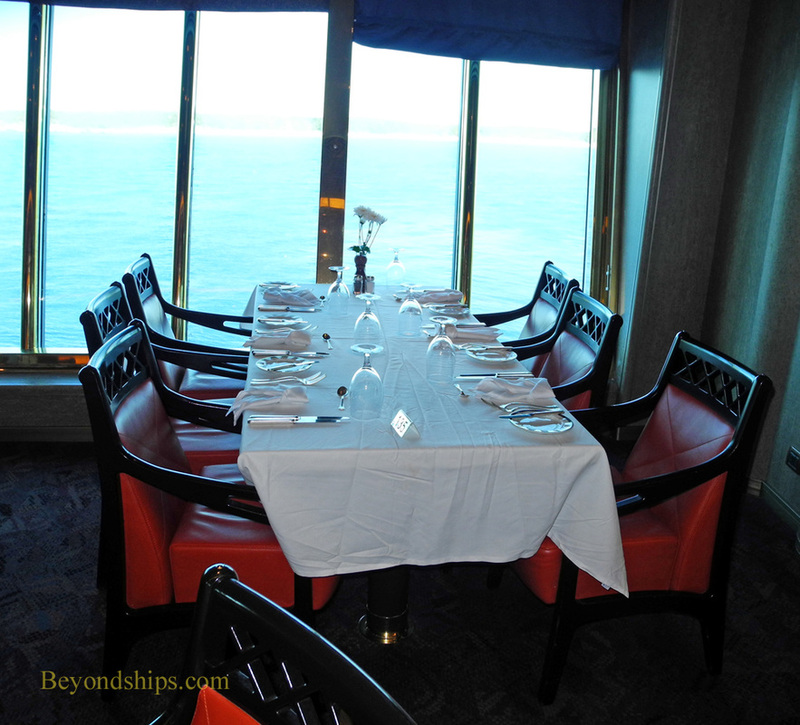 For dinner, the restaurant offers the traditional passenger ship dining system where passengers have a reserved table at one of the two dinner seatings. The seatings are at 5:30 and 8:00 p.m.
Alternatively, passengers can opt for an open seating system under which they can arrive any time between 5:15 and 9:00. Of course, there is no guarantee that they will have the same table each night. 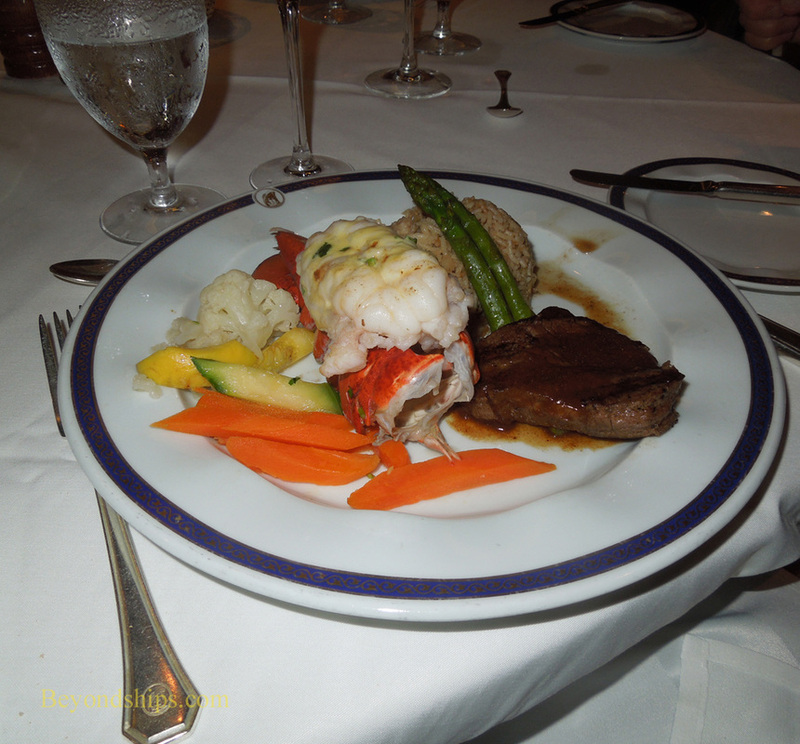 Each evening the menu in the main dining room features dishes developed by one of the chefs on Holland America's Culinary Council. Chaired by HAL's master chef Rudi Sodamin, the council members are well-known, award winning chefs chefs. 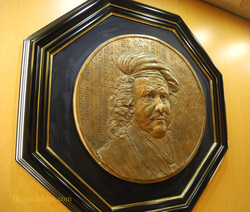 In addition to the featured items that change every night, the Rembrandt menu has a section entitled “Available Daily,” which does not change throughout the cruise.